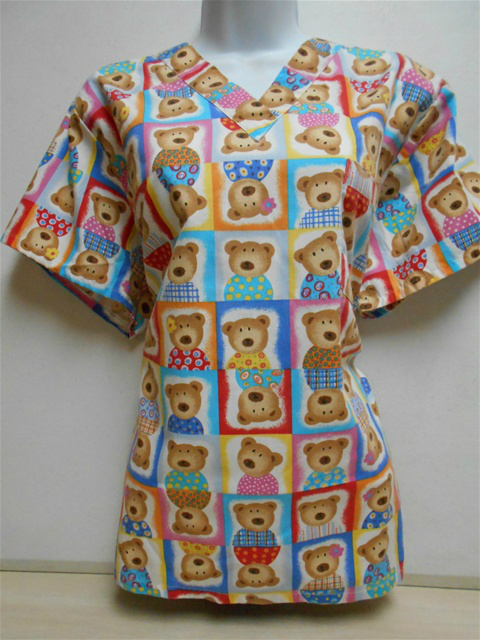 I received an email one morning from someone interested in some scrub tops I had listed. Both of them featured animal prints, cats to be exact. One was green, the other red. Both were also a size medium top. I did have one other top listed, but it was a winter or Christmas top and it was an XL. This is the correspondence throughout the day. It seems she just could not grasp what I was saying. We went around-and-around about this until I finally decided that she was not the brightest scrub top on the hanger. In the end, she bought the two tops and was satisfied with her purchases.